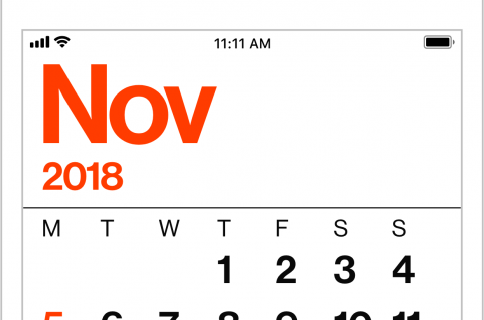 I’d probably be wasting my time if I spent more than a few words introducing Fantastical, an app that most of us here at iDB use on a daily basis, and which we recently ranked as one of the best calendar apps for iPhone. And it’s not just us! If you’ve used Fantastical 2 for iPhone before, then you will feel right at home with Fantastical 2 for iPad. The design is obviously extremely similar to the iPhone version, but it brings more to the table than just an overblown design to fit a bigger screen. 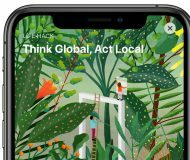 Because of the difference in screen size between iPhone and iPad, the guys at Flexibits had to make some design decisions: how to take advantage of every pixel without making an oversized copy/paste of the iPhone version? The answer is Fantastical Dashboard, a fast and easy way to easily manage your schedule in one place, where you can switch between the DayTicker (pictured at the top), half-screen week view, and full-screen week view. You can easily switch between each view by using swipe gestures that are explained the first time you launch the app. 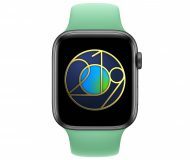 Unless you are on full-screen view, the screen is divided into three sections: the DayTicker or half-screen view at the top, the list of calendar events and reminders on the left, and the overview of the current month on the right. These three areas are the same regardless of the orientation of the screen, although they are obviously resized when in portrait mode. This division of the screen makes so much more sense to me than the way the stock calendar app is designed, because not only can I have a good look at my current week, but I can also see every event for that week as well as an overview of the full month, all in one screen. This is so simple, yet so brilliant. Again, Fantastical 2 for iPad feels just like its iPhone counterpart. The settings are exactly the same too, which made it easy for me to set it all up the same way I have it set up on iPhone. I simply grabbed my iPhone and went to Fantastical’s settings, then I mirrored every setting on the iPad version. In no time, I had my two versions of Fantastical working exactly the same way I’m used to. Creating an event or a reminder is as easy as you’d expect. Simply tap the ” + ” icon at the top right to add something to your calendar. From there, you can start typing the details of your event, or if you want to create a reminder, simply toggle the small Reminders switch. No matter if you want to create a calendar even or a reminder, the process is simple, fast, and extremely natural. Just type in or dictate the details of your entry, and you’re set to go. If you decide to type, the extended keyboard will provide easy access to numbers and symbols for dates and times, saving you the time to go back and forth between numbers and symbols for date and time. Of course, what has made Fantastical so powerful is its advanced natural language engine which is smart enough to understand what you’re typing or dictating. For example, you can say something like “Lunch with Tim Cook tomorrow from noon to 1 pm, alert two hours before,” and Fantastical will fill in all the details for you with no need to manually adjust the day or time of the event. You can also easily set up recurring events such as “Submit TPS report every third Friday of the month.” This is a great time saver, which can also avoid making mistakes when manually adding that type of events. There is an array of things you can say to Fantastical. Chances are, if you type it or say it, Fantastical will understand what you mean. It’s that good. 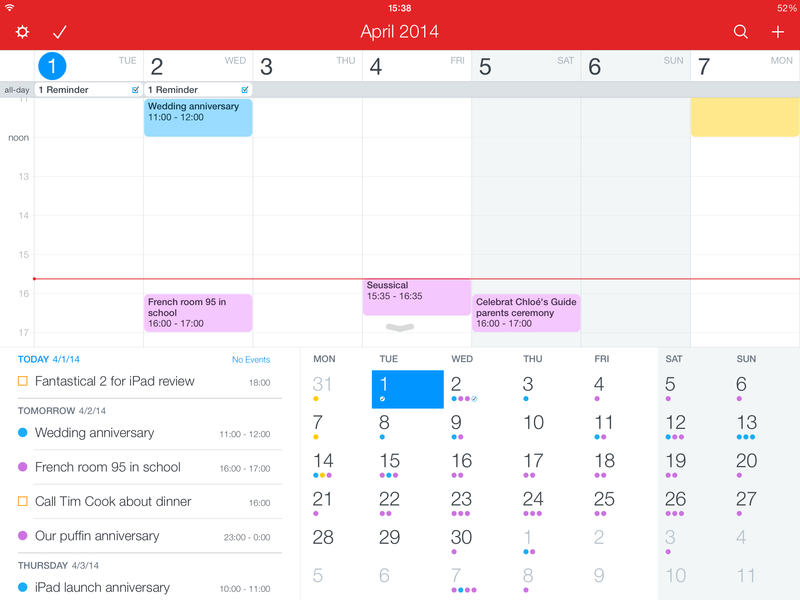 Fantastical 2 for iPad is available now in the App Store. 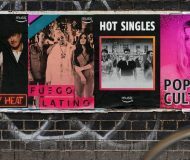 The app is being rolled out to all App Stores worldwide so you might not be able to find it yet by searching for it, but you should be able to download it using this link. 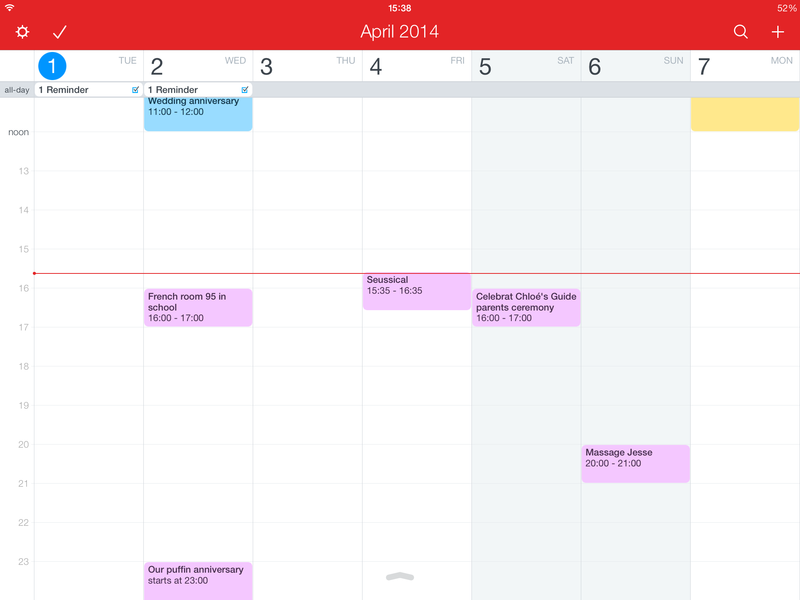 You can get Fantastical 2 for iPad for a limited-time launch sale price of $9.99. After the launch, the standard price will be $14.99. If you’re choking on the price tag, let me clarify that this isn’t a mistake. I do find the price steep but you’re really getting what you are paying for. Fantastical 2 for iPad is an app that has been completely built from scratch, and isn’t just an oversized version of the iPhone app. I assume hundreds of man hours have been put into it, which ultimately translates into a higher price. If it’s any indication of quality, Fantastical 2 for iPhone currently has 450+ ratings in the App Store with an average on 4+ stars. Again, this is the price to pay for a top quality app. Also worth noting is that Flexibits releases updates to its apps on a regular basis, so you’re not buying an app that will become outdated tomorrow. At this price, Fantastical 2 for iPad isn’t an impulse buy or an app you download “just to see what it looks like.” It’s an app you purchase knowing exactly what you’re getting into, and I think the developers behind it are aiming exactly at that. As often when it comes to apps, the purchase decision depends on your usage. 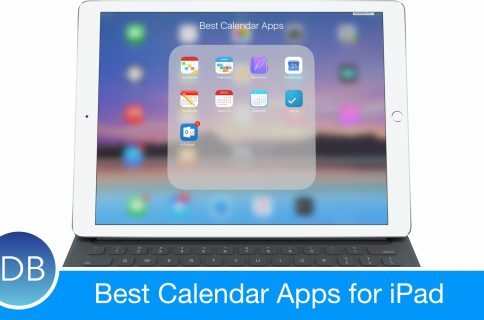 Do you rely a lot on the calendar app on your iPad? If so, you should really consider Fantastical 2 for iPad because you will not be disappointed. 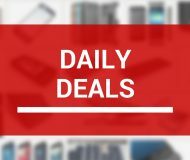 If however you do most of your calendar entries on your iPhone or Mac, then there is no real reason to fork in that amount of money. Something tells me that Fantastical 2 for iPad will be a huge hit regardless of its price tag, because the people who need that kind of powerful app don’t care about the price. 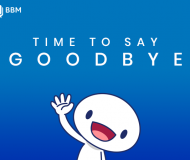 All they care about is having a familiar-looking application they know will fit their needs while having the certainty that this app will be updated on a regular basis. Still, is it something I would recommend my mom to purchase? No, my mom does just fine with the stock calendar app for iPad. 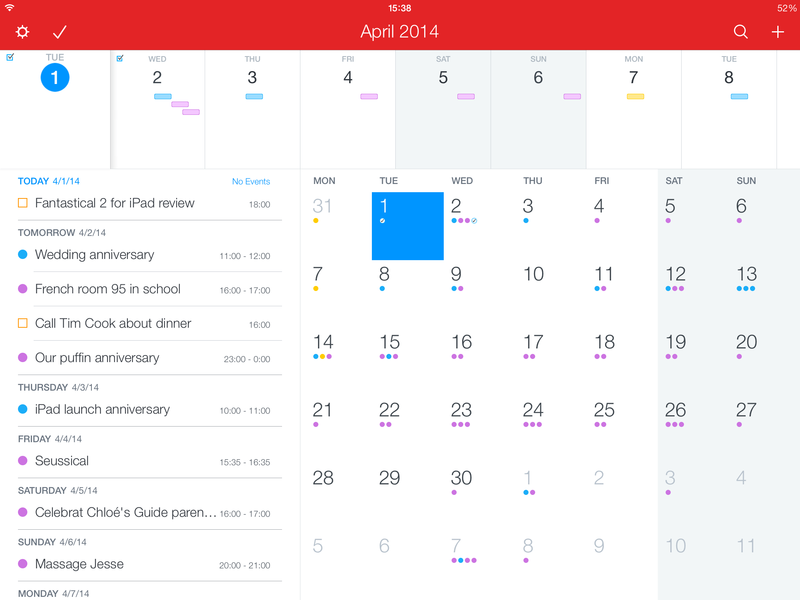 Is Fantastical 2 for iPad the best calendar app for iPad? Yes it is, and it comes at a price. Now only you can decide whether that price is worth it to you. Download Fantastical 2 for iPad now for the special price of $9.99. After the launch special, the app will be priced at $14.99. 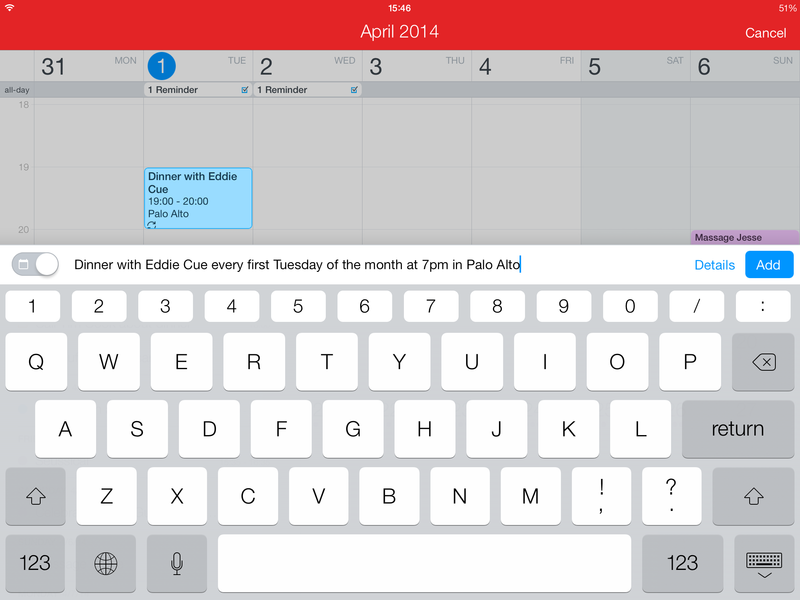 Also available: Fantastical for Mac, and Fantastical 2 for iPhone.